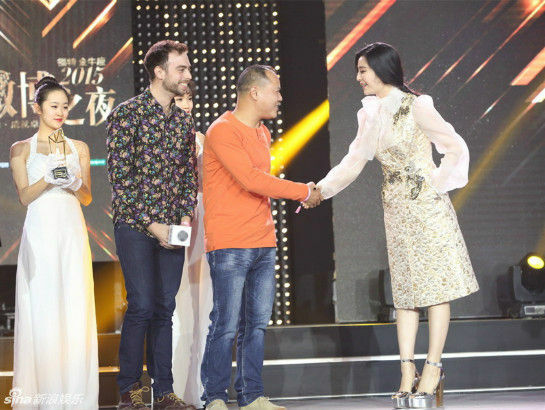 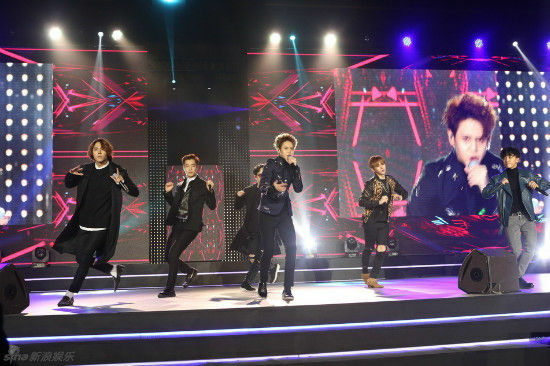 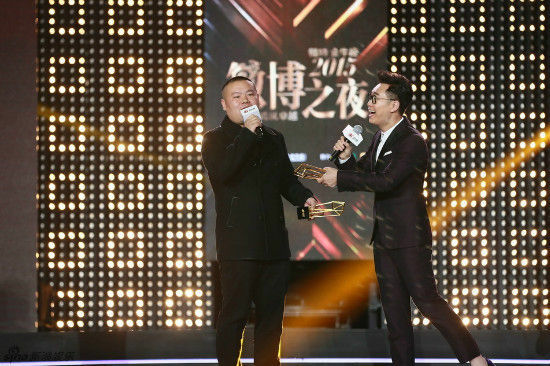 Weibo Night held by micro-blog site Sina Weibo, witnessing the presentation of awards related to last year's most-talked-about events, topics and people in Beijing, Jan. 7, 2016. 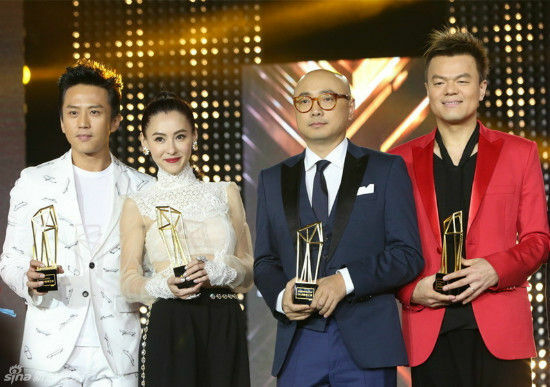 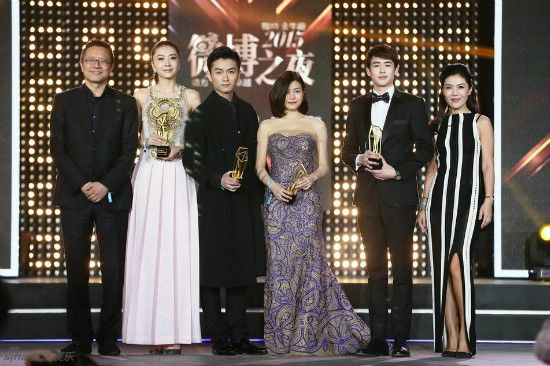 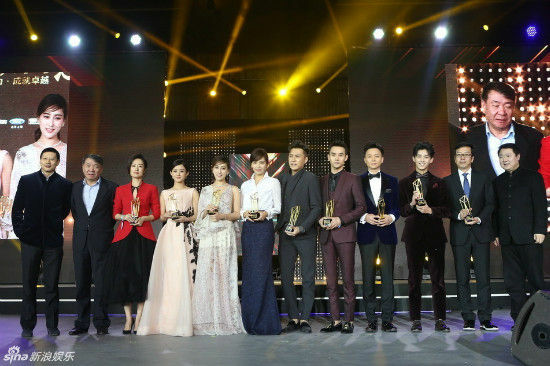 The 2015 Weibo Night generates award lists in entertainment, public events, trends and industries through votes from netizens. 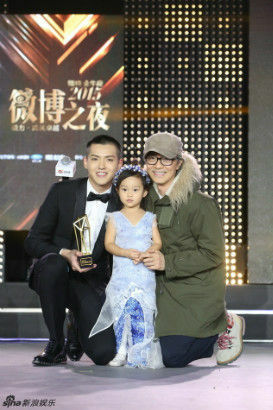 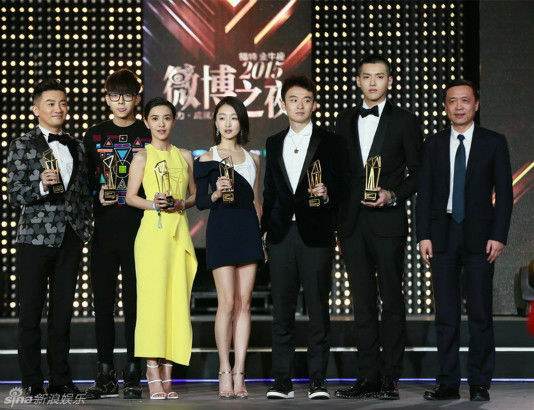 Actress Zhao Liying, and actor Wu Yifan were crowned as Weibo Queen and Weibo King for their popularity among fans.